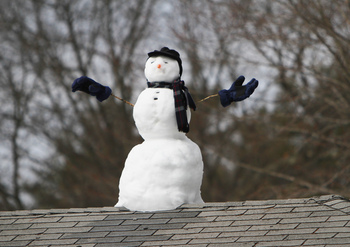 ROOFING IN COLD WEATHER - WCC ROOFING CO. Most people opt to have a new roof installed in the spring and summer months. Others looking to replace their roof decide to install during the fall. But what happens to the roofs that are installed in the cold winter months? Often customers ask us if it is okay to install a new shingle roof when the temperatures are extremely cold. This is especially concerning for those who do not have a choice in the matter and must replace their roof immediately. There are no specific industry guidelines for temperature and roof installation for asphalt shingles, however, various manufacturers do make recommendations. 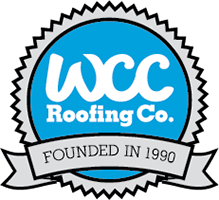 WCC ROOFING CO installs roofs all year round, although, we do pay careful attention to the weather and elect to hold off for warmer days for certain types of applications. Although asphalt shingles do become brittle as the temperature drops, steps can be taken to reduce or eliminate breakage. If shingles are stored in a warm place and loaded just before installation, problems can be minimized. A concern we often hear from homeowners is whether or not the self-sealing strips will bond properly without a warm day to promote a good seal. The sun is very helpful in warming a newly installed roof and aiding in a good seal, but in areas prone to high winds, hand-tabbing, (or adding adhesive to the underside of shingles during the application), can sometimes be recommended. This measure assists with keeping the shingles in place, when needed, until warmer weather allows the seal to set as it should. Whenever you decide to replace your roof, our staff is available to provide guidance and assistance in the process to achieve the best result possible.